Claudia Brücken’s ‘This Time’ career celebration at The Scala in London was without doubt, one of the best live presentations of 2011. On this wonderful evening, the first lady of cinematic electronic pop was joined by some very special guests in Erasure’s Andy Bell, Heaven 17’s Glenn Gregory and Martyn Ware, Ralf Dörper and Susanne Freytag from Propaganda and one time ZTT label mate Andrew Poppy for an unforgettable and almost certainly unrepeatable concert. The superb event has been captured as a DVD film and accompanying CD soundtrack entitled ‘This Happened’. This is the perfect souvenir for those who were there (and those who wished they were there). 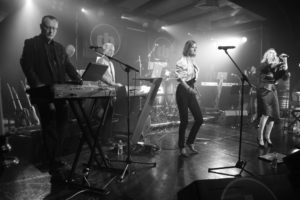 It captures all the warmth of appreciation from that evening when Claudia performed a selection of songs from her career accompanied by a superb backing band led by ONETWO partner and musical director Paul Humphreys. Featuring Philip Larsen, James Watson, Dawne Adams, Sam Sallon, Melissa D’Arcy and Dave Watson, the company delightfully tackled a catalogue songs made famous by Claudia as a member of Propaganda, Act, Onetwo and as a solo artist. There are many highlights to savour including a exceptionally groovy ‘Absolut(E)’, playful duets with Glenn Gregory and Andy Bell, the Bond theme meets Massive Attack chic of new song ‘Thank You’, the three quarters reunion of PROPAGANDA and the surprise inclusion of ‘Dream Within A Dream’ from their highly regarded album ‘A Secret Wish’. But that’s not all. 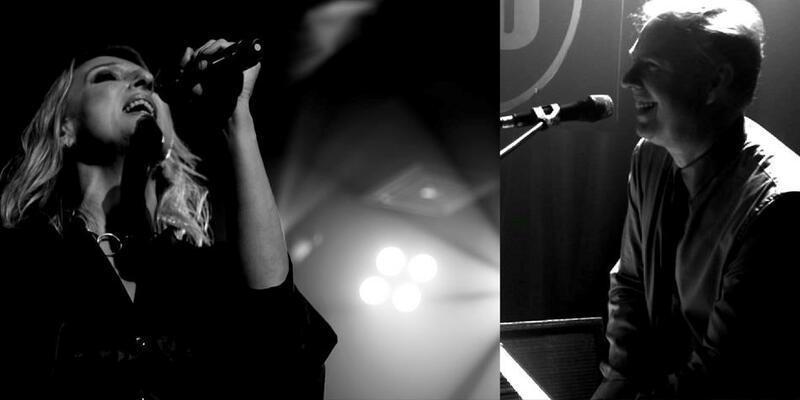 To celebrate the release of ‘This Happened’, Claudia Brücken will also be playing a new version of the show, ‘This Time Too’ at London’s Bush Hall on Thursday 19th July 2012 featuring OMD’s Andy McCluskey as one of the special guests. 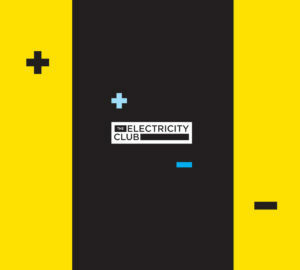 Taking a break from preparing for this upcoming performance, Claudia Brücken and Paul Humphreys kindly invited The Electricity Club to their London studio to talk about the live DVD and reminisce about that wonderful evening at The Scala last March. It was an amazing night at The Scala, how do you look back on it? Claudia: It was a complete success, it was great to have all the people, who I have collaborated with, agree to perform with me. It was quite a difficult task to get all of the musicians together and to organise it all. Paul: Getting everyone to rehearse on the same day was a nightmare. Which songs were the most challenging to reproduce in a live situation? Paul: ‘Dream Within A Dream’ was probably the toughest because it’s such a complex piece, there’s all these solos and Dawne our percussionist had all these things to do, there were different cues and all the bar counts are changing all the time! To be honest, we never got ‘Dream Within A Dream’ right in rehearsals; the only time we got it right was live on stage at the Scala. On stage, we were all just secretly nodding at each other! Paul: Yes, you can hear it on the mikes when I mixed it! Claudia: That was a little personal challenge; it’s such a great Propaganda piece. As Susanne was there as a guest, I really wanted to put that song out there in a live context. The setlist was very well paced and as good as perfect. How did you decide what to perform? Paul: We played the obvious ones from the ‘ComBined’ album as it was a celebration based around that. Claudia: Also through Onetwo, we had so many songs already rehearsed. It was just a matter of organising everyone. So it became obvious when we had Glenn as a guest that we do ‘Snobbery & Decay’ and ‘When Your Heart Runs Out Of Time’. ‘When Your Heart Runs Out Of Time’ was pure self-indulgence because we’d never done it before. We thought we might as well do it. Paul: We completely reworked it, it’s nothing like the original; we did a very electro version. Paul: …apparently that was the demo which got HEAVEN 17 their deal. And they had a German singer actually talk it before they reworked it with all the high vocals and the strings. Claudia: I had this demo as a template and I really like that almost detached attitude so I thought that’s a good way to go with the idea. Paul: But the biggest challenge for Claudia was ‘Running Up That Hill’ and ‘In Dreams’ with Andrew Poppy because you’re so exposed and any slight mistake, it really stands out. Claudia: It was quite daring because most people attending the show, their background is electronic music so for me to just come out and bring it right down to just piano and voice…I really liked it for a change of scene. I did a show with Andrew Poppy the other day for his new album ‘Shiny Floor, Shiny Ceiling’. We did a couple of performances at the Chelsea Arts Centre. He’s very clever and such an artist, he’s got his own ideas and he sees it through. Paul: It was an amazing show. Were there any songs that you considered, but discounted for various reasons? Claudia: I would have liked to have played more from ‘Love: And A Million Other Things’ like ‘Baby Sign’ or ‘Love: In Another World’ but there was just so much to choose from. Claudia: It was great, I’ve always wanted to do it. I’ve been working towards the possibility of trying to get Propaganda on the road again and there’s always been hurdles, it’s never been easy! Everything else with ONETWO and the band has always been very easy and pleasurable. So when Susanne and Ralf agreed to join me, it was the closest at that point of getting those Propaganda songs back up live. I’m someone who doesn’t give up easily and I try different ways to make something happen. I’ve known them for such a long time and it just kind of fell into place. 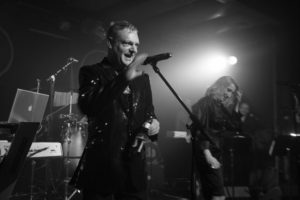 Is it true Ralf never played live with Propaganda first time round when you were on ZTT? Yes, I’ve seen the video clip of that! Stephen Lipson, Lol Creme, Anne Dudley, Geoff Downes, David Palmer AND an orchestra! There’s an obvious onstage chemistry between you and Glenn Gregory, what do you put that down to? Claudia: But we genuinely love each other as well, I’ve known him since the ‘Dr Mabuse’ video shoot which his first wife Sarah did the make-up for. 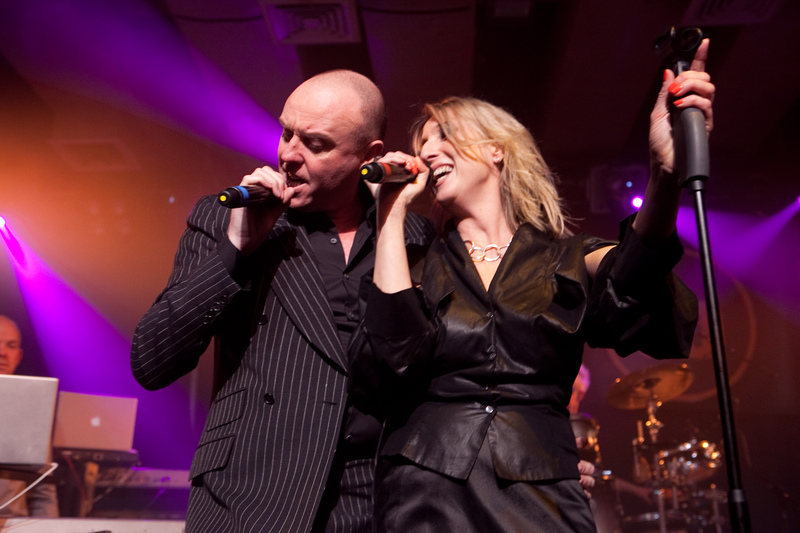 One of my earliest memories about England was going to Glenn’s old house in Notting Hill…I was discussing make-up and stuff with Sarah and there were Heaven 17 sitting on a couch in a darkly lit room. We just became really good friends and went through a lot of things together on ZTT as Trevor Horn used to use him as a session singer a lot on recordings by Grace Jones and stuff. We’ve already mentioned Andrew Poppy but you couldn’t have had a more polar opposite guest than the other Andrew, Mr Bell? 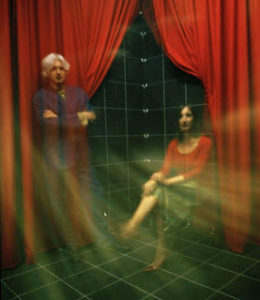 Claudia: I did some gigs with Andy Bell back in 2005 at Madame Jo-Jo’s and Koko, it was just so natural. Paul: Again, we’re mates with Andy, we’ve been on holiday with Andy too. He’s a sweetheart. We adore him. Susanne almost didn’t make it on stage in time for ‘Light The Way’. How did you make sure the evening ran like clockwork while still being able to vibe off the special occasion? Paul: We relied on everyone to remember their cue, I posted a sheet up in the dressing room! There’s only one dressing room at The Scala and it’s tiny…there were fifteen of us!! Paul: There were three chairs, all for the girls of course. Claudia: It was very funny! How was it trying to fix situations like when Susanne’s microphone cut out during ‘Dr Mabuse’ in the final audio mix? Is it a matter of retrieving sections of the recording or overdubbing? Claudia: It was a bit “let’s see what happens” as well. There was so much information for him there. With so many people involved, was it a matter of tying it all together during the soundcheck? Martyn Ware mentioned to me it had been a long day. How does the finished DVD look and will it satisfy those fans who there, and also those were unable to make it to the gig? Claudia: It’s been a real labour of love, it’s taken us so long to make. We get asked to play Canada, Russia, Finland and the USA but we can’t tour everywhere, it’s not so simple. So I wanted there to be a documentation of what I’m like live so I hope they like it. We put a lot of love into it… it’s 100% and more to make this an entertaining piece of work. Is it in 5.1 surround sound? Paul: It’s not actually, so many people I know don’t have 5.1, so I didn’t think it was necessary. Plus it would have made it far more expensive to make because I mixed it in my own studio, and I don’t have a 5.1 system in here. I’m happy with stereo and most people will enjoy it stereo. In 5.1 you’ve got mix everything twice as you have to do a stereo mix anyway, those balances are completely different. It took a long time to just to mix 98 minutes of music in stereo. You have ‘This Time Too’ at Bush Hall coming up on 19th July as a follow on event. This time you have another Andrew, ie Mr McCluskey as a guest. What song will he be performing with you? Paul: …but instead of ‘Delicious’ , we’ll be doing something else which Claudia and Andy will sing as a duet. Would it ever be a possibility for you to go out with a touring version of this show in Europe, albeit maybe without all the wonderful guests? Claudia: If I did it, it would make sense for everyone else to join us…anything is possible. The DVD+CD set ‘This Happened’ is released on 23rd July 2012 via There(there).